BCAA formula for practically immediate absorption. Greater synthesis of proteins, better recovery, greater muscle growth. What are the properties and benefits of BCAAs? 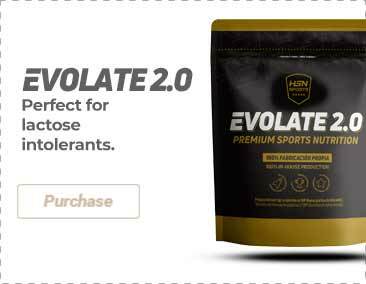 Who can benefit from BCAA Instantized? BCAA Instantized by Amix is a BCAA's nutritional supplement of an unparalleled quality. One of the main reasons to purchase this product is its easy dissolution, it enters the bloodstream almost instantaneously in order to supply the branched chain amino acids (Isoleucine, Valine, and Leucine) to the organism, since they are important to perform several functions. BCAAs have the ability to stimulate the mTOR pathway directly, which is a metabolic signal that promotes the muscle protein synthesis. It becomes an essential supplement of any sportsperson, since it has shown its ability to stimulate muscle mass growth. Higher BCAAs levels are related to a higher lean mass composition. Research has proven that those individuals that consume more BCAAs have lower obesity rates, less body fat, and a better body composition. BCAAs also encourage a better Testosterone / Cortisol relation, since they help to minimize the cortisol response that comes from physical exertion. This is perfect when there is a cortisol excess, since the response is the opposite when it comes to enhancing muscle tissues, apart from increasing fat accumulation. Less cortisol means more testosterone, which results in a faster recovery and more muscle development. BCAA Instantized by Amix sharply increases the amino acids levels in blood during the workout, which is a factor that probably reduces muscle damage. Researchers suggest that BCAAs can be combined with a carbohydrates supplement in order to reduce muscle tiredness, increase muscle resistance, and allow a more intense workout. This BCAAs supplement can reduce muscle soreness, specially DOMS (Delayed Onset Muscle Soreness) which is produced in high intensity workouts. It contributes to reduce fatigue and increase the brain function after an intense training, which becomes quite useful in post-workout nutrition. BCAA's also stimulate the serotonin neurotransmitter synthesis, which improves the mood and reduces the symptoms of depression. Anyone who trains regularly with a certain degree of intensity and with the aim to improve their recovery and body composition. Citric acid, flavoring, sweetener (Splenda® sucralose, acesulfame K), color (beetroot extract), soy lecithin. Mix 1 scoop (5g) in a glass with 200-300ml of water and drink before and after physical exercise.